Prepping for the holidays? Vend has you covered. For our next Retail Success webinar— How to Turn Lookers into Buyers This Holiday Season–we’ve invited industry-recognized author, speaker, and coach Bob Phibbs (aka: The Retail Doctor), to talk about how you can get the most out of the biggest shopping event of the year. With December having only three Saturdays before Christmas, retailers have a relatively small window to promote and sell their merchandise. That’s why it’s critical that you plan your holiday initiatives and ensure that your employees are at the top of their game. Get thousands of dollars of industry expertise and useful advice from Bob for free, just by attending this exclusive webinar. Webinar: 1:00PM PDT | 4:00PM EDT | November 4, 2015 (US Time). 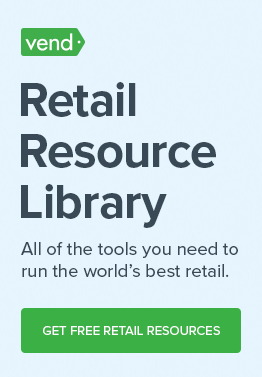 In this 30-minute webinar, you’ll not only get tips that you can implement right away, you’ll also get the exclusive opportunity to interact with Bob, a leading retail expert who’s consulted with retailers such as Sport Chalet, Vera Bradley, Seiko, and more. Got questions about the upcoming holiday season? 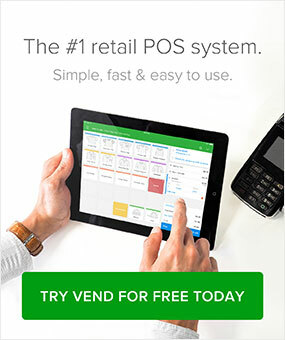 Send them in advance to expertwebinars@vendhq.com or tweet them using the #retailsuccess hashtag. Can’t make the time? Don’t worry, register for the webinar anyway and we’ll let you know when the presentation is available for viewing on-demand. If you have any troubles registering, or need help at any point, feel free to get in touch with us (expertwebinars@vendhq.com).